If you are a busy person who doesn't have the time to read through a lot of pages and theories than this brief Lookbook is for you. In this simple format, we distill the essential ideas behind dealing with difficult people. We all encounter difficult people in our lives. Despite how much we try, we cannot change who other people are or how they behave. But in many situations, we HAVE to work with them, regardless of how they behave and interact with us. 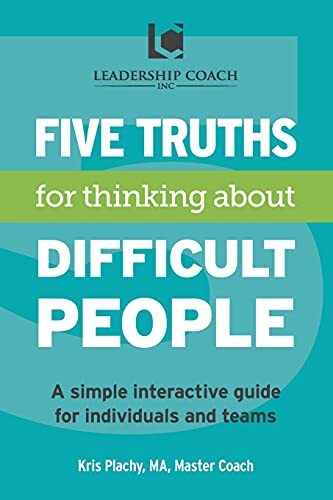 In this brief, Lookbook, "5 Truths for Thinking About Difficult People", we offer up simple invitations and solutions to help YOU! We may not be able to change them, but helping ourselves is always available to us. Through the tools offered in this simple guide, we offer the reader methods for increasing personal peace and effectiveness when dealing with difficult people!